Happy first day of spring! I think it's safe to say we are all ready for some warmer weather! We are actually supposed to be getting some beautiful weather over these next few days and I couldn't be happier about it. 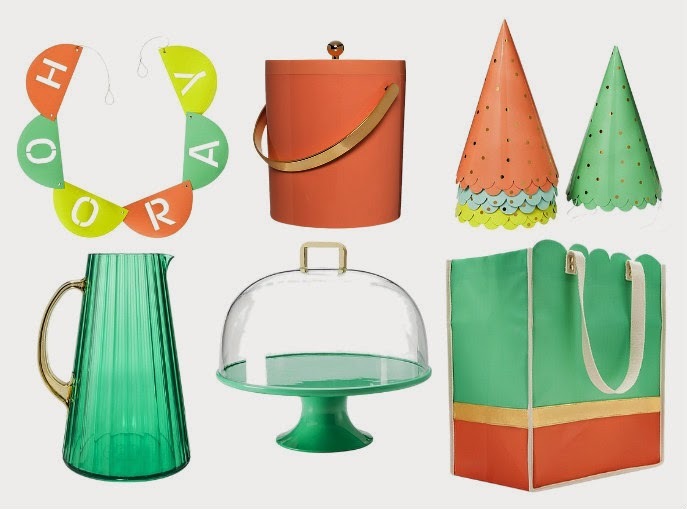 Speaking of spring, have you guys seen the Oh Joy Collection at Target? I haven't had a chance to check it out in the store yet, but it looks amazing! The colors are so fresh and spring like! Here are a few of my favorites. It makes me want to throw a party just for spring! I'm heading there today and am hoping that they finally have it in stock at our Target, so I can check it out in person. They even have trash bags? Haha! Love it! I can't wait to check it out this weekend! I need that tote!